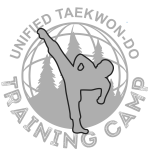 The Unified Taekwon-Do Training Camp has been running for over 40 years and is the ultimate experience for martial artists looking to take their training to the next level. OR working toward a career in Taekwon-Do. If you or someone you know is a student or working toward a career in Taekwon-Do we encourage you to apply! All applicants will receive a free camp t-shirt and will be able to take advantage of pre-registration prices through to camp move-in. Please use the form below to submit your application. Applications will open again in 2019. Unified Taekwon-Do will notify recipients individually after the closing deadline. Summer Camp scholarships are made possible by donations from our generous members, schools and community supporters. If you would like to make a contribution please contact Unified Headquarters. Donations will be acknowledged on Summer Camp gear, e.g. Camp t-shirts and sweatshirts. Donations of $100 or more will receive a free Camp t-shirt.